Updated Wednesday October 19, 2016 by Dan Brotman. 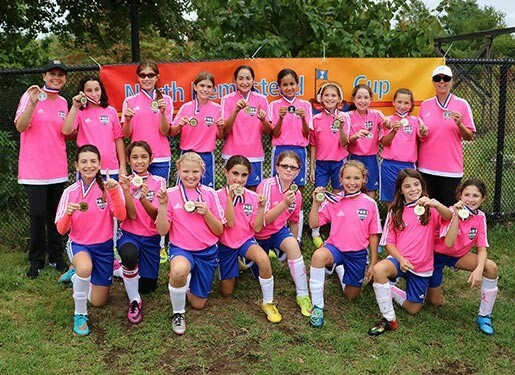 The GU12 Wildcats, helmed by Christine Shaub, took home the divisional title at the 2016 North Hempstead Cup. The BU10 Saints, coached by Eric Prengel, and the GU13 Blue Raiders, coached by Dusty Van Cott, also won silverware.